The community centered show where you are the content! 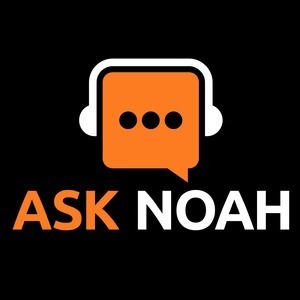 We found 2 episodes of Ask Noah Show with the tag “ibm”. In this weeks episode we air out interview with the OpenPower Foundation. The OpenPOWER Foundation is an open technical membership organization that will assist data centers in rethinking their approach to technology. Google, Tyan, Nvidia and Mellanox are all founding members of the OpenPOWER Foundation. OpenPower is an “open source” model for hardware, launched by IBM. It's goals are to expand the open innovation to a Chip-System-Software platform relying on the same advantages as Open Source Software. In the largest software company acquisition in history, tech giant IBM has purchased Red Hat for 34 billion dollars. The open source community was shocked and devastated at first but is it too soon to judge? What has IBM really purchased a product or a culture? We explain why this could be the best thing ever to happen to Linux and FOSS!